The University of North Carolina Wilmington Board of Trustees elected a new chair for 2018-19, Whiteville native and businessman Ronald B. McNeill, a member of the board since 2011. He succeeds Wilma W. Daniels, who served as board chair for two years. Mr. McNeill is the vice president and CFO of Liberty Healthcare Services and a North Carolina State University graduate. Henry L. (Hal) Kitchin, Jr. , a Wilmington resident and board member since 2013, was elected as vice chair. Kitchin is currently chair of the Committee of Military Affairs and a member of the Educational Planning and Programs Committee, the Executive Committee and the Business Affairs Committee. 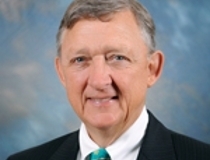 Kitchin previously served as Chair of the Greater Wilmington Chamber of Commerce (2013) and the Cape Fear Future Foundation (2013-17). Gidget Kidd ’91, a member of the board since 2013, was elected as board secretary. She currently serves as chair of the External Affairs Committee and is a member of the Audit, Risk and Compliance Committee, the Educational Planning and Programs Committee, and the Executive Committee. Kidd is also a current member and past chair of the Asheboro City Schools Board of Education. The officer elections were held July 20 during the trustees’ July meeting.